NYLON(NMO) FILTER BAG, China NYLON(NMO) FILTER BAG, Quality NYLON(NMO) FILTER BAG manufacture by COX Filter Cloth. NYLON FILTER BAG is supported by an inside metal basket in the inside the bag filtration system. The fluid flow out after filtered by the bag, thus the impurity is intercepted in the filter bag. PA NYLON FILTER BAG offer enhanced removal characteristics and improved strength and durability. Every filament in the weave has been extruded with a consistent yarn diameter, enabling the filtration structure to deliver exact pore openings. The small liquid filter bag can filter large amount of liquid. 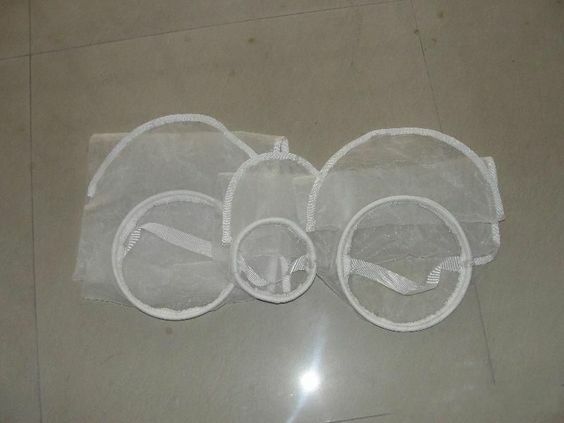 NYLON FILTER BAG have smooth surface of a monofilament is easily cleaned. The weave pattern ensures a low-pressure drop and consequently an uninterrupted flow.The filter system can continue to use after changing the filter bag. PA Bag Top Sealing available with a ring top (galvanized steel, stainless steel, or polypropylene), Plastic Flange (collar) Top with handles molded in, Drawstring or “tie-on” Top. Ring Bags can have optional handles or pull tabs sewn in to ease filter bag removal. Both Ring and Flange Top Bags fit a wide variety of filter bag housings. Tie-on and Blank Top Bags are used in filtration systems without filter housings and are available in an enormous variety of shapes and sizes.